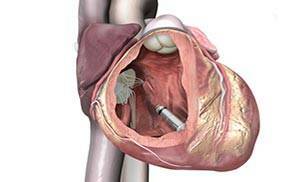 The Micra Transcatheter Pacing System (TPS), recently approved by the US Food and Drug Administration (FDA), is a new type of heart device that provides patients with the most advanced pacing technology at one-tenth the size of a traditional pacemaker and is the only leadless pacemaker approved for use in the US. The pacemaker is for patients with bradycardia, a condition characterised by a slow heart rate, usually fewer than 60 beats per minute. Patients with bradycardia have lower heart rate and their heart is unable to pump enough oxygen-rich blood to the body during normal activity or exercise, causing dizziness, shortness, fatigue of breath or fainting spells.